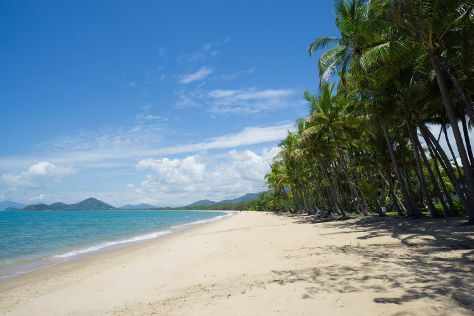 A small community of about 1,200 people, Palm Cove sits beside the clear blue waters of the South Pacific. Beach life predominates, with an atmosphere of calm, laid-back enjoyment pervading the town and its immediate surrounds. First believed to have been settled by Aboriginals around 60,000 years ago, Palm Grove grew significantly in size in the second half of the 20th century. Palm Cove is in Cairns Region. Take a peek at our international travel planner: Palm Cove and its charms laid bare and easily scheduled.